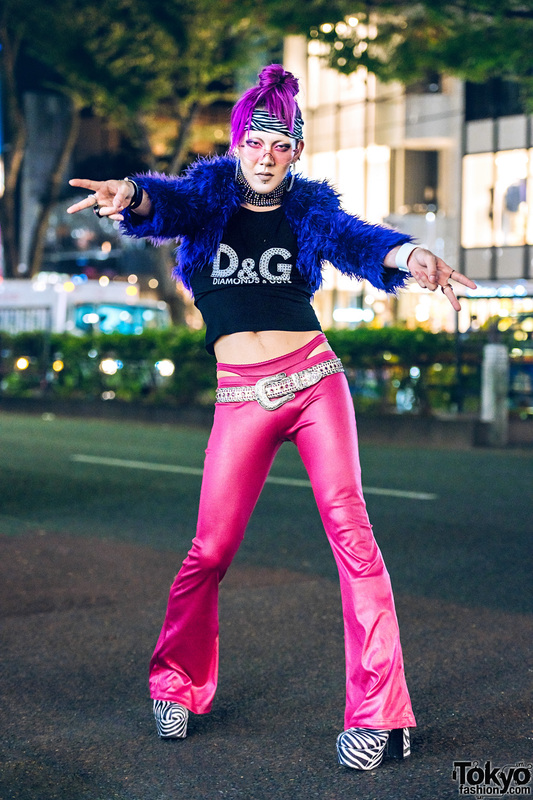 GlamHate designer on the Harajuku street sporting a fuzzy jacket, cropped top, vinyl flare pants and zebra print platforms. Pink haired guy wearing a striped t-shirt with ripped jeans and a checkered shirt tied at the waist, Chrome Hearts jewelry and lace-up boots. 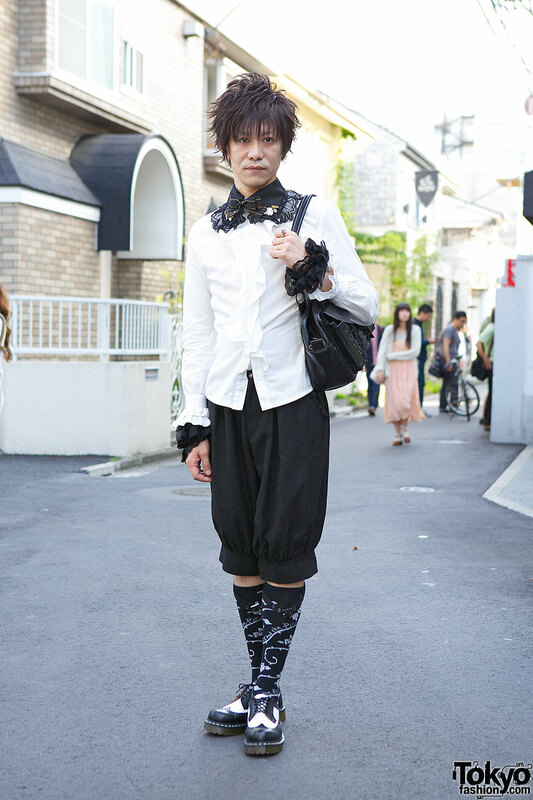 Stylish Harajuku guy in white ruffled shirt and crop pants, with lace collar and cuffs, brogues and knee-length socks. 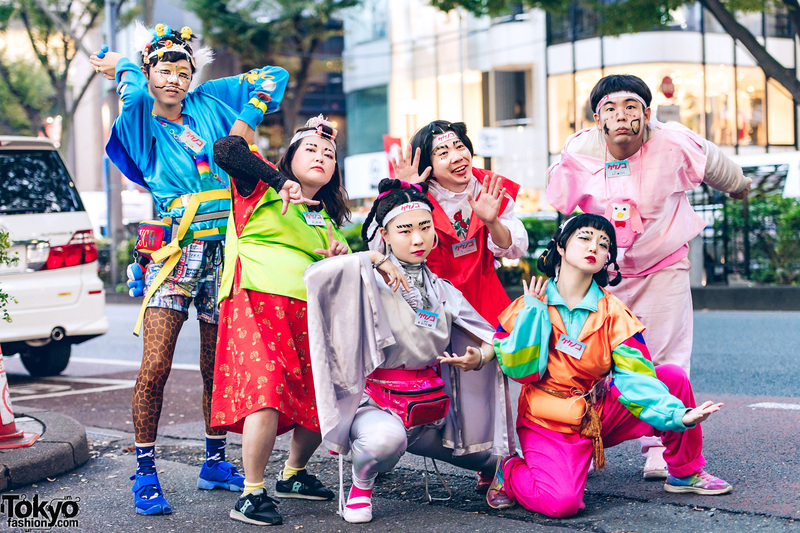 Super stylish Harajuku guy and Harajuku girl wearing black blazers and pants with red accents. Japanese girl in vintage dress and fur hat, collar and cuffs.